We offer clients a comprehensive range of pasted synthetic mats which are ideal for use in homes, offices and kitchen. Available in different designs, colors and patterns, they can also be customized in different shapes and sizes to meet the client specification. 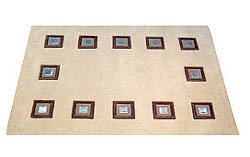 In order to retain remarkable position in this industry, we are providing a wide array of Horse Synthetic Rugs. As an illustrious corporation of the industry, we are eagerly immersed in presenting a broad gamut of Synthetic Carpet to our patrons. 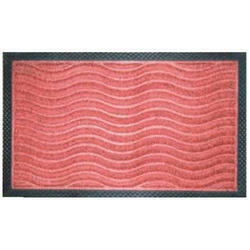 Our company holds vast experience in this domain and is involved in offering Synthetic Carpet. We are offering a large collection of Synthetic Carpet to our valued clients at pocket-friendly prices. - We manufacturer as per IS 15652 / 06 with I.S.I. mark "BIDYUT" brand. - Bureau of Indian Standards Certified. - MSME / ERDA ( NABL accredited laboratory ) tested and certified. Enriched by our vast industrial experience in this business, we are involved in offering an enormous quality range of Synthetic Carpet.